DES MOINES, Iowa (AP) — The allure of capturing the latest massive Powerball jackpot had players in a buying frenzy, further confirming a trend that lottery officials say has become the big ticket norm: Fatigued Powerball players, increasingly blase about smaller payouts, often don't get into the game until the jackpot offers big bucks. Three tickets — one sold in Minnesota and two in New Jersey — matched Wednesday's winning numbers, Sue Dooley, senior drawing manager production coordinator for the Multi-State Lottery Association, said late Wednesday night. She said it wasn't yet clear exactly where the tickets had been sold or who the winners were. The numbers drawn Wednesday night were: 05, 25, 30, 58, 59 and Powerball 32. 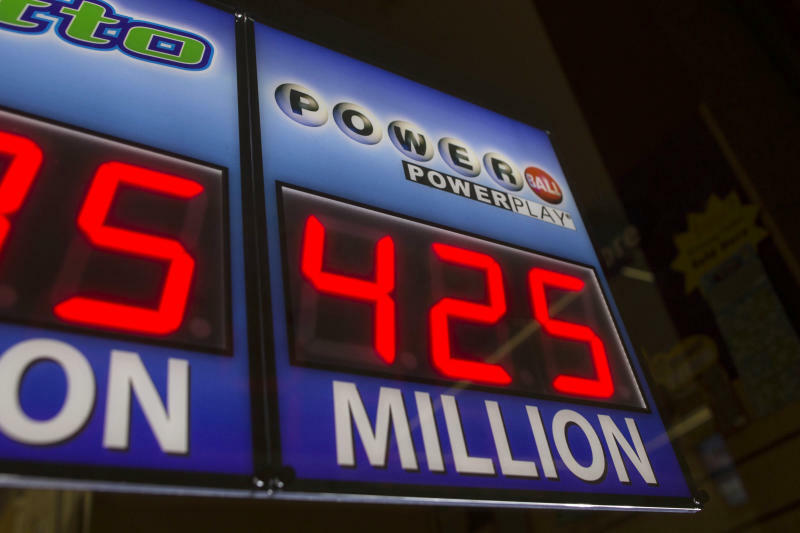 At the time of the telecast, Powerball officials announced that the jackpot previously pegged at $425 million had grown to an estimated $448 million. Meghan Graham, a convenience store worker from Brookline, Mass., has purchased nearly a dozen Powerball tickets in recent months thanks to the huge jackpots, and the third largest-ever pot was enough reason to buy again. "The more it keeps increasing, that means nobody is winning ... a lot of people are gonna keep buying tickets and tickets and tickets and you never know, you just might get lucky if you pick the right numbers," she said. A recent game change intended to build excitement about the lottery increased the frequency of huge jackpots, and Wednesday's jackpot drawing comes only a few months after the biggest Powerball jackpot in history — a $590 million pot won in Florida by an 84-year-old widow. The second largest Powerball jackpot was won in November and split between two tickets from Arizona and Missouri. With a majority of the top 10 Powerball jackpots being reached in the last five years, lottery officials acknowledge smaller jackpots don't create the buzz they once did. 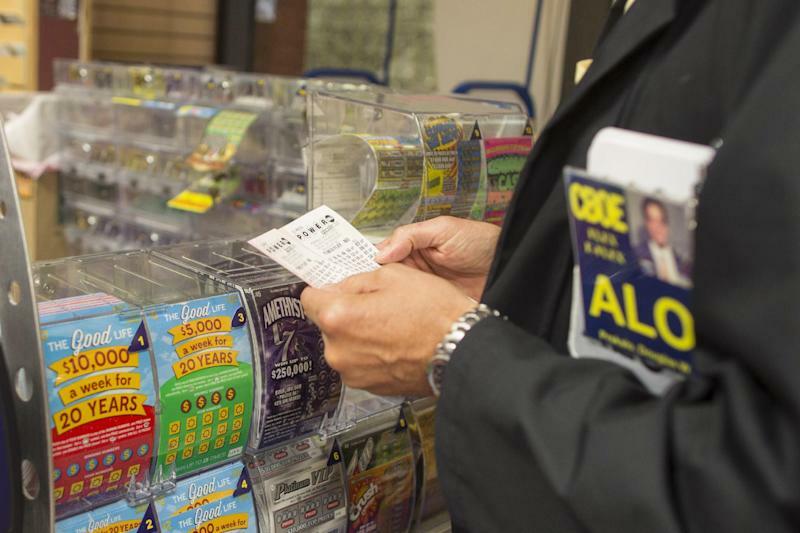 "We certainly do see what we call jackpot fatigue," said Chuck Strutt, executive director of the Multi-State Lottery Association. "I've been around a long time, and remember when a $10 million jackpot in Illinois brought long lines and people from surrounding states to play that game." Tom Romero, CEO of the New Mexico Lottery and chairman of the Powerball Group, agreed. "Many years ago, $100 million was really exciting and people would immediately buy more, occasional players would start buying," he said. "Then the threshold was $200 million. Now, we see here in New Mexico, we're approaching the $300 million mark." The revamp of Powerball in January 2012 changed the price of a ticket from $1 to $2, a move that upped the chances of the game reaching a major jackpot. There was a loss in the number of players, but the new game — which also created more chances to win smaller, $1 million- and $2 million prizes — has brought in 52 percent more in sales, Strutt said. Sales were $5.9 billion in the fiscal year that ended in June. Still, the way casual players define a major jackpot has changed. Behavioral economist George Loewenstein, who teaches at Carnegie Mellon University, said people judge things in relative terms. "We compare things," he said. "If there are a lot of jackpots, even though they're all enormous numbers, people are going to start comparing them and if there are billion dollar jackpots, then 100 million jackpots that used to feel enormous are going to seem much smaller, even though in terms of the impact on your life of winning 100 million or 1 billion, it probably isn't all that different." Though Lisa Ravenell, of Philadelphia, said she buys tickets randomly, she acknowledges the higher jackpot catches her attention. She also noted the frequency of announcements about winners from the area, which she feels contributes to her wanting to buy. "The 400 million is appealing" the 47-year-old said. "I think deep down inside, more or less, I'd buy it because it's a big amount." So when jackpots swell, people still line up for their chance at a life-changing payoff, even though their chances at winning the top prize are the same if there is a small jackpot. 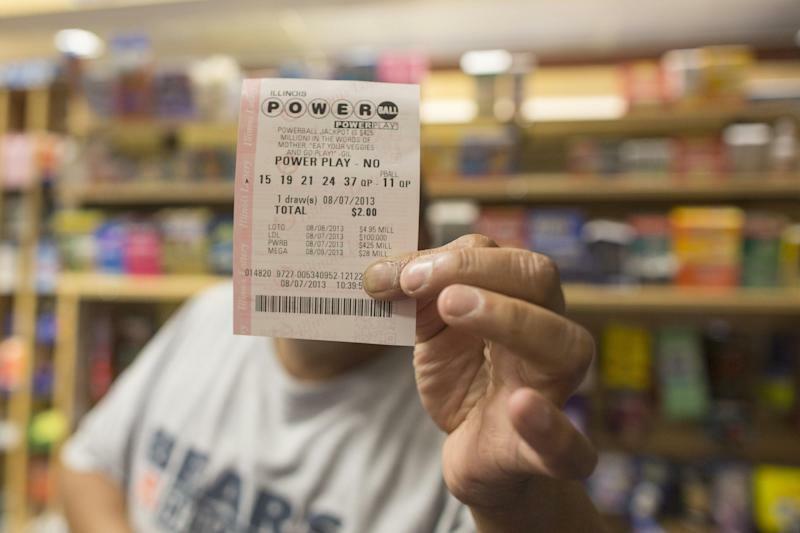 Felipe Piña, of Los Ojos, N.M., claimed a $62.8 million Powerball jackpot in May 2007 and frequently buys lottery tickets at the same rural convenience store where his Quick Pick method won big. He's got a ritual down of buying lottery tickets via Quick Pick at the same store and at the same time, and he's not fazed by what others see as a small jackpot. "I go small," the former mechanic said, and threw out an arbitrary jackpot number. "Can you imagine $40 million? And people just go when they hit 100 or 200. I think they're really just thinking, 'Man, I'm going to hit the big one.' If people don't buy for $40 million, their IQs aren't very good." Still, he only uses the same winning numbers for major Powerball jackpots like Wednesday's drawing. Piña is considered a good luck charm in his community just south of the Colorado state line. He has a tattoo of his winning numbers on his right arm, and people visit him to rub the tattoo before they buy their own tickets. "You can call it a ritual," he said. "Maybe lightening will hit twice with my old numbers." Bill Palumbo, 56, of Bellmore, NY, is a frequent player who also doesn't wait for a particularly sizable jackpot. "I'm always in it," he said. "Any way to retire a day early." The next drawing is scheduled for Wednesday night. Associated Press writers Rodrique Ngowi in Newton, Mass., Keith Collins in Philadelphia and Deepti Hajela in New York City contributed to this report.